Summary: If you are a paid member of PMI, you can watch recorded PMI webinars for free and claim 1 PDU per 1 hours of watching. 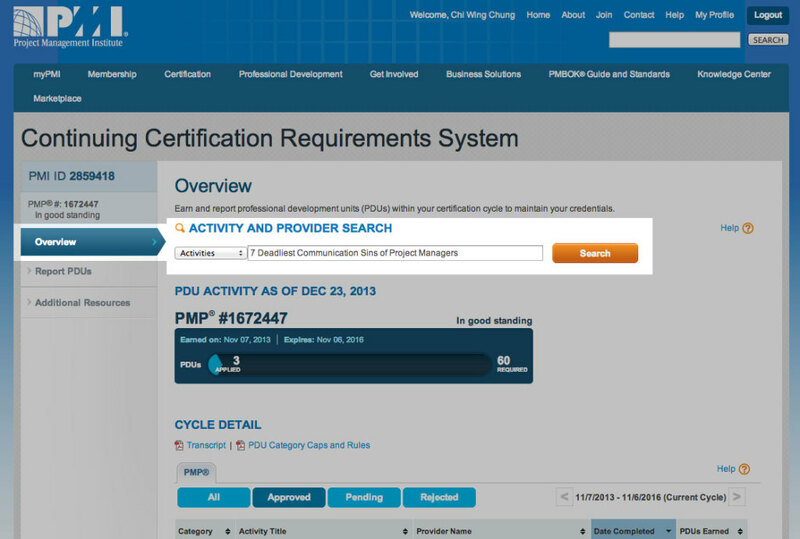 The PDUs claimed in this way fall into Cat A: Registered Education Provider/PMI Component which has no upper limit per 3-year PMP® certification cycle. There is no limit of PDU earned this way. 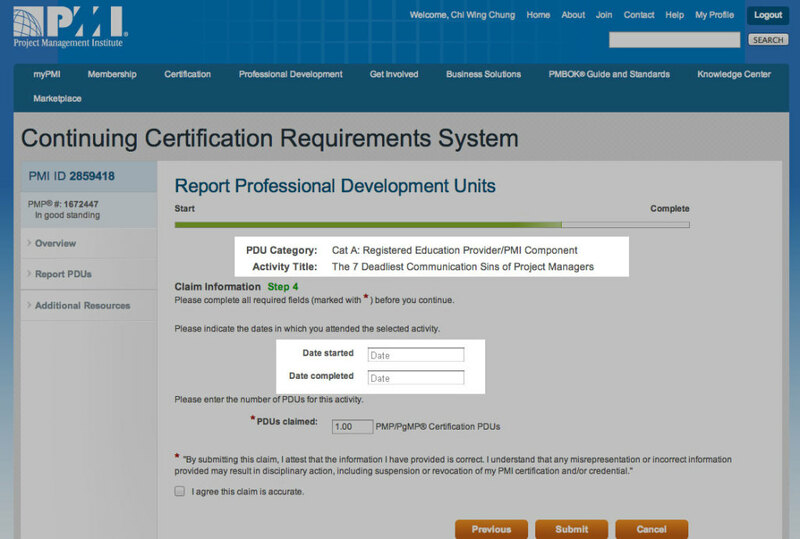 Only the “excessive” PDUs (up to 20 PDUs) earned in the 3rd year can be brought forward to the next certification cycle, you may not wish to earn 100 PDUs in the first year. 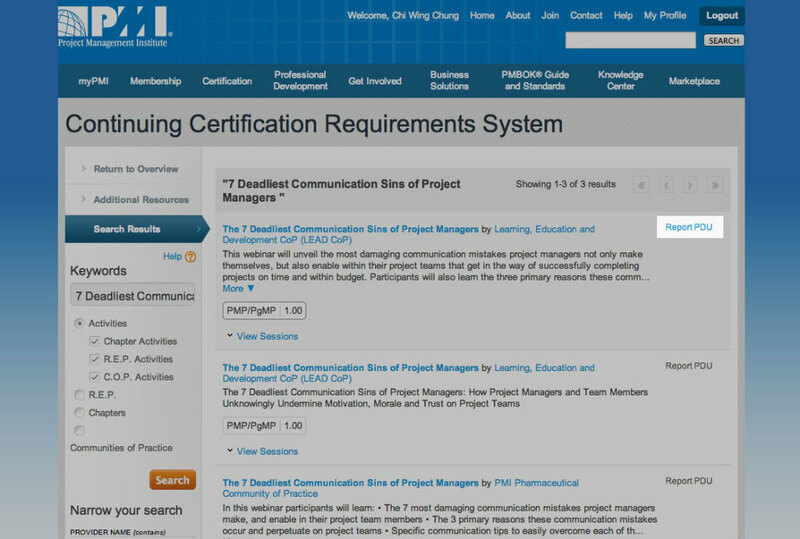 Just now, I have watched the recorded webinar 7 Deadliest Communication Sins of Project Managers. The notes of the webinar have been added to this blog post. PMI will send you two emails almost immediately: one for acknowledging the receipt of your PDU claim and one for the approval of your PDU claim. Make sure you can receive these emails. Keep your notes on the webinar in a easily accessible place to act as an evidence for watching the webinar and I use my blog to store all lecture notes. Does this work for external providers? Or it needs some sort of certificate confirmation? 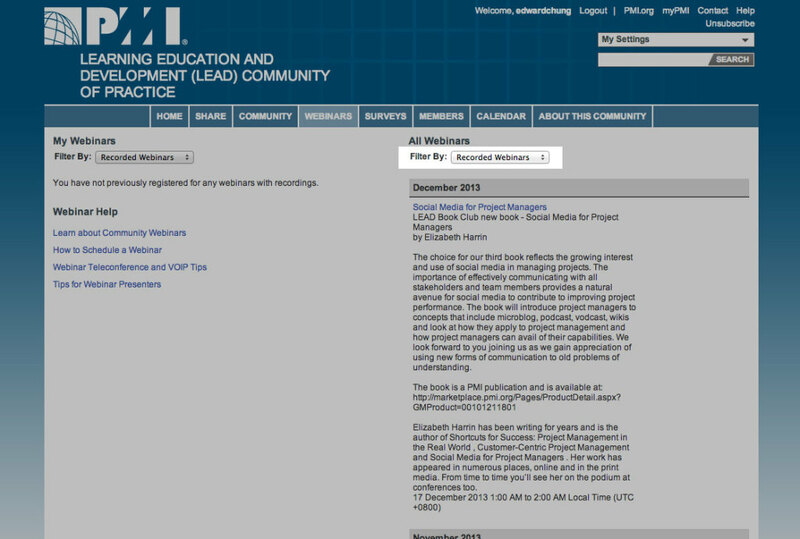 Yes, but you will need to provide an outline of the webinars as well as proof of completion. 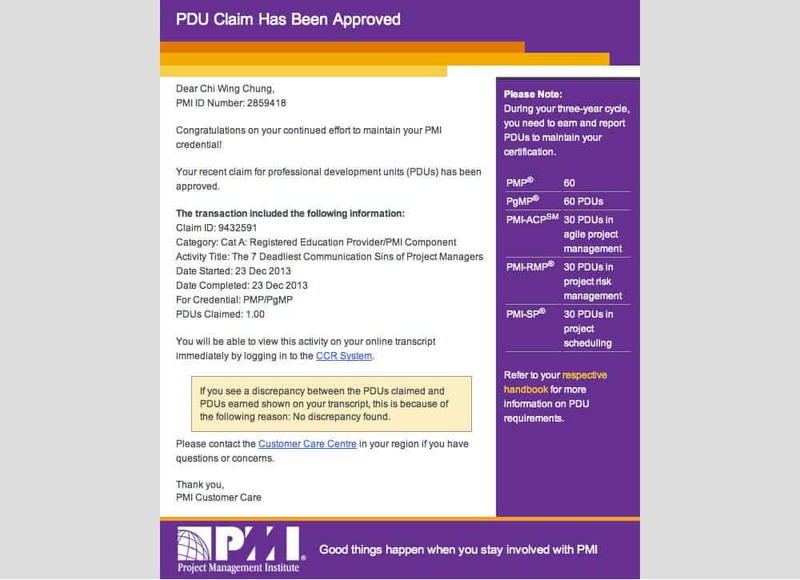 Thanks for the valuable information provided about claiming PDU’s for Watching Recorded PMI Webinars.